welcome to our blog site which started with the presentation of the first open letter to the President of the University of Saskatchewan that comments on the problems which the TransformUS process has brought to our university. We have now added a second open letter that presents the particular concerns of our students about the future of education at our university. To see the first open letter with comments, go to "January" and click on "First open letter". To see the second open letter with comments, go to "March" and click on "Second open letter". We welcome signatures to both letters at any time. The campaign will continue as long as things go wrong at the U of S.
Note that this is NOT a campaign of the USFA, who has neither endorsed nor explicitly rejected the endorsement of each open letter, as the scope of the letters is not entirely within their mandate. So they want to leave the decision to support the letter to each single member. If you support our campaign, please help us spread the letter widely, on campus and in the community. Please also post comments on this blog site (by answering this blog or those that will follow). Please let us know what we can do (better), please tell us about your experiences and about those parts of TransformUS that affect you. Please also tell us if you feel that you cannot support our campaign and let us know the reasons. We have created this blog site as a forum that is independent from the administration. Please make the best use of it and help us preserve the traditional values at the University of Saskatchewan that we all cherish. We are writing to express our concerns about the future of education at our university, and the way students are treated by its administration. The 1995 University of Saskatchewan Act states: "The primary role of the university is to provide post-secondary instruction and research in the humanities, sciences, social sciences and other areas of human intellectual, cultural, social and physical development." TransformUS threatens the primary goal of our university because programs in all these areas will be cut. Students and faculty form the core of the university. But the TransformUS process and other developments on campus have severely damaged their morale and have raised serious questions in the community. The danger we see is that the diversity of academic offerings will be cut drastically while tuition is raised to levels that will exclude many from the access to higher education. Since 2009, students have seen tuition increase by roughly 20%. Reduced diversity coupled with reduced enrolment will ultimately result in a lack of well-educated, mature and alert citizens in our community. TransformUS was sold to students with the argument that it is a tool to avoid tuition hikes. But on March 10, exactly such a new hike has been announced. This shows an appalling insensitivity of our university's administration towards already worried and disappointed students and their parents. Students have been assured that the latest increase is not an effort to balance the budget but rather an effort to ensure high-quality education. It is absurd to paint tuition increases in this light while simultaneously axing valuable and sought-after programs at this university. Further, the administration tries to assure students that they will be able to finish the program they are in before it is phased out. We feel that we cannot rely on this promise as there were programs in the past that were cut or "transformed" abruptly without prior warning or any sort of consultation with the students. And even when the students are able to finish their program, they will end up with a degree from a program that no longer exists, and will therefore have less value in the perception of potential employers. Moreover, the way these programs were selected to be cut and the rankings in the TaskForce reports often downright discredit them. 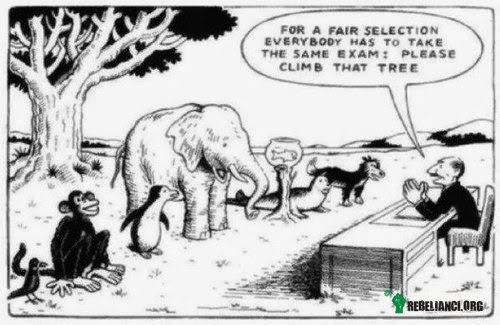 While there is a lot of talk about "improving the student experience", the reality is disappointing. TransformUS will further narrow down our choices, which often are already poor. Reducing resources leads to larger class sizes, jeopardized careers and shattered dreams. Shared services and other structural changes are introduced without any consideration of the needs of students and professors. Professors, burdened with ever more administrative work, have less time for their students. In the past, our university served its students well without recurring planning cycles and the determination of "university priorities". What are university priorities if not student and faculty priorities? What good is innovation when it dismantles already optimized structures for teaching and learning? We are worried not only for the present students, but also for future generations. Our children and grandchildren should too receive a top education from a university with traditional values of culture, knowledge and academic freedom. which Walter Murray called "the People's University". We demand that the courses students wish to study are offered at our university. We demand that the resources needed to enhance the student experience are left in the hands of the education experts, that is, the departments and the professors who teach the students. Finally, we demand that students will be actively and strongly involved in all future decisions about academic programs and all other services for students. IT IS NOT TOO LATE TO SIGN THIS LETTER! and we are planning to do better - with your help! Let us show the President that she cannot cast aside this letter. Help us spread the letter! The letter can be signed below. We are writing to express our grave concern about the present state and the future of our university, as a result of the TransformUS process. This letter will present our opinion on this process and its results. We know that we speak for many members of this public institution who are deeply concerned that it is diverted from its true mission. 1) It is the mission of every good university, including ours, that programs align with the needs of education, information, culture and knowledge. These values are superior to the "university priorities" which were pushed through by administrators and do not adequately represent the vision of the majority of faculty and the students, which together compose the University. 2) For centuries, academic programs and achievements have been judged by peer review. This is the only procedure that can assess their quality adequately. In their Principles, the U15 group explicitly endorses peer review! But the results of the Systematic Program Review are bluntly cast aside, apparently because they do not match what administrators want to see. In contrast, TransformUS was not peer review. Most programs had no peers in the Task Force. This is why apples are compared with oranges, leading to false judgement. Moreover, the Task Force members had only minutes to consider any single program. It is absurd to believe that in this way, an informed recommendation can be made. We are sad for our colleagues, well respected scholars, who were given such an impossible task. 3) Contrary to what you have repeatedly stated, the Dickeson model was not adjusted to the reality of our university. There is no service teaching in it, so there was none in our templates. It is also impossible to assess the true costs of programs. When faculty had problems filling the templates, they received advice from the Task Force leaders that amounts to willful falsification (in particular, but not only, in the case of service teaching). Therefore, the database is badly distorted, and it is irresponsible to make this the base for any drastic decisions which can have adverse effects for students and faculty. Moreover, "keep with reduced resources" (quintile 3) is a contradiction in itself. Many programs, already starved in the past years, will die when their resources are reduced further. You said recently that all programs in quintiles 3, 4 and 5 could see their resources reduced to zero. So you are even willing to disregard the recommendation "keep" - why don't you convey this message openly to all faculty? 4) Contrary to what you have repeatedly stated, small programs are not necessarily costly, but provide diversity and hence a service to students. This is necessary for our society, and to offer the students the value they are paying (a lot of money) for. In most cases small programs share courses that exist anyway. Small programs are often also elite programs which society needs and which belong to every good (in particular, U15) university. The Task Force report shows a clear bias against them, which you have called "boutique" programs. It is these programs and the exceptionally talented students taking them who have given this institution its reputation for nurturing excellence. 5) A university is a complex organism, its structures have developed over a long time. Trying to influence a complex organism with crude measures never leads to improvement. Evaluation of the merits of academic programs is not within the purview of administration. Administrators have to care for the institution and support its main bodies, the faculty and the students. 6) TransformUS has damaged morale on campus. Successful researchers see their programs recommended for reduced resources. Celebration of success has become a lip service. Administrators have a responsibility for their employees and their workplace. We are appalled by the inhumanity of the "best practices" our administration has adopted. Low morale does not support efficiency. We recommend the "Ant Story" for watching (available on Youtube). The costs of the damage done are immeasurable. 7) Faculty and staff are ever more burdened by "planning exercises" and are thus distracted from their actual duties, teaching and research. Both the "research intense" university and "improving the student experience" have become a lip service of our administrators. Apart from TransformUS, also curriculum mapping is forced upon us, something that departments have always done on their own (but their efforts were cut short by the ever recurring answer from the administrators: no resources). Again, the cost of these activities that do not lead to true improvement are immeasurable. these programs and the representation of their members on the Task Force. 9) We call for open discourse and honest answers. Statements do not become true by being repeated often. TransformUS has not been widely endorsed by faculty, it was forced through Council. The public has been given the impression that there were serious problems with our university and that now it will be saved. The problems were forced upon this university not by its faculty and not by its traditional structure. TransformUS will not save this university which is about to lose its great potential and its variety of programs and research offered for the benefit of the province and the country. We call on the administration to acknowledge the failure of the TransformUS process due to its numerous well-documented deficiencies. We ask for a new transparent and independent review process to uncover the true origin and amount of the debt and develop academically defensible solutions. robert dickeson right for ontario? 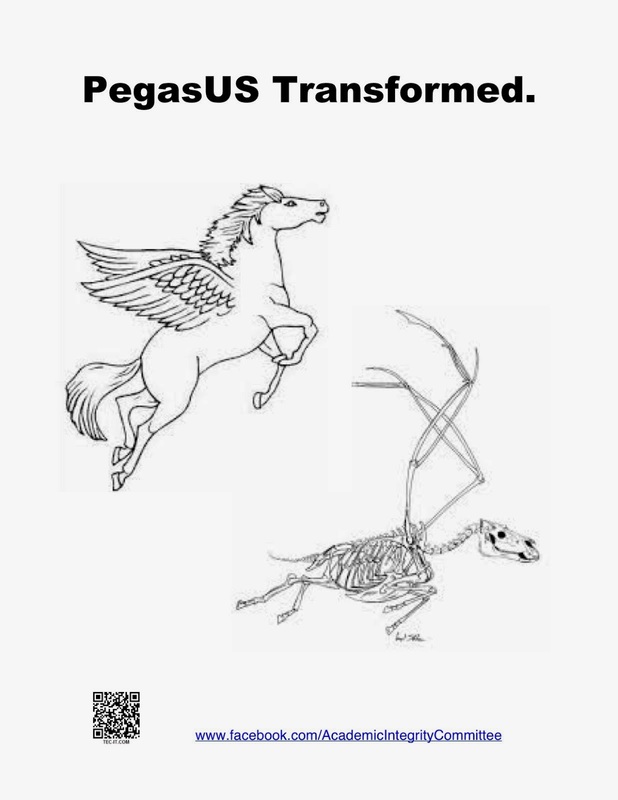 To clarify: this poster refers to Pegasus, the creature of Greek mythology, whose picture appears in the upper half and who is a well known symbol for inspiration. It DOES NOT refer to the graduate students' group in the Department of Physics and Engineering Physics at the U of S, and it does by no means express their views.